Welcome! 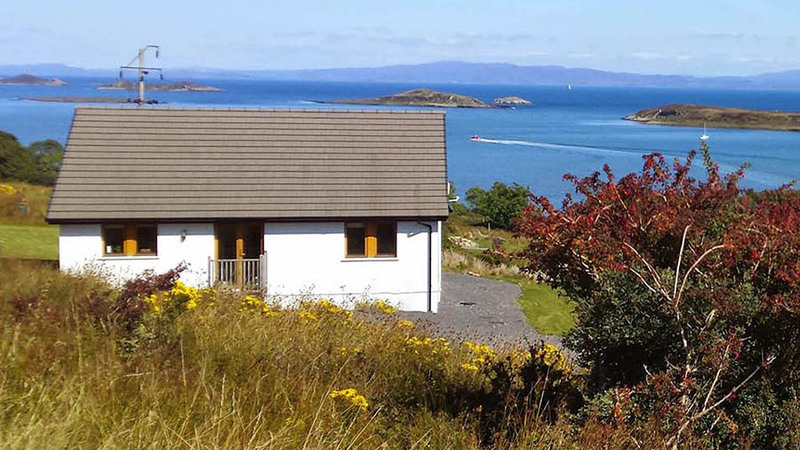 On the following pages we will hopefully provide you with everything you need to know about our cottages Torr na Faire (look out hill) and Tulach Ard (High Hillock) and perhaps persuade you into taking a trip to the majestic Island of Jura. 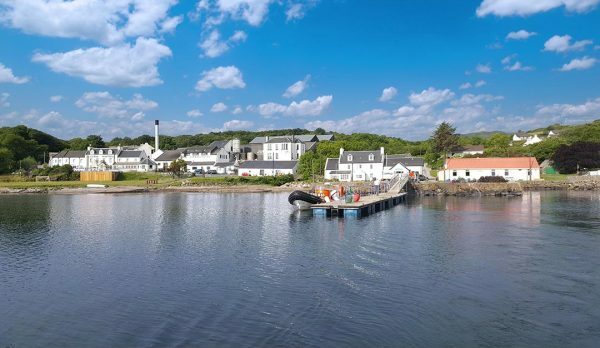 Our cottages are ideally situated above the main village of Craighouse yet only a few minutes’ walk from the main amenities, ie shop, hotel, distillery, etc. 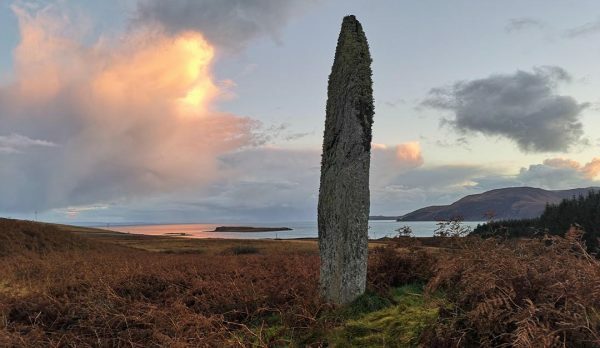 With dramatic views of Small Isles Bay and beyond to the Knapdale peninsula, they make an ideal base from which to explore the island. 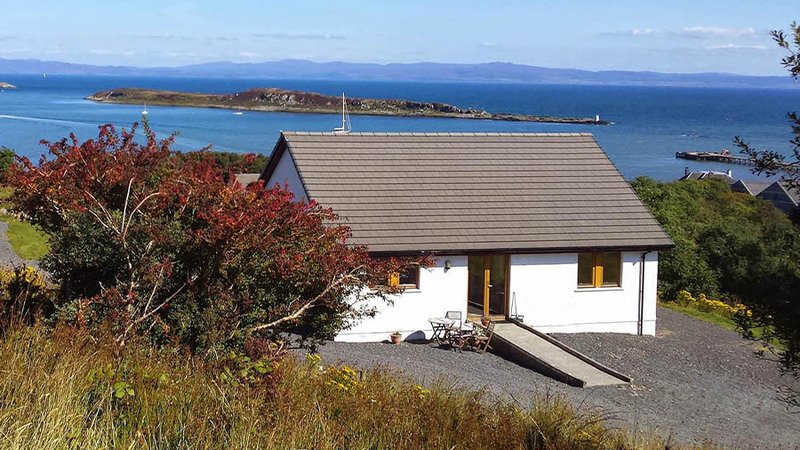 The cottages are built on one level making them perfect for disabled and elderly access. Both are identical in design, although individually furnished and decorated. large comfortable lounge with spectacular views over the bay includes freesat, large flat screen TV and Sonos player. Fully heated with electric storage heating, the cottages are comfortable and warm in the winter. Each house comprises of one double (king-size bed) and one twin bedroom, bathroom with over bath shower, fully equipped dining kitchen including fridge/freezer, washing machine and microwave. Relaxing decked area with outdoor furniture, where you can sit with your refreshment of choice and take in the view! Mobile reception is not bad- Vodafone and EE seem to be the best at the minute and 4G signal is widely available around Craighouse. Both of our properties have their own free private parking spaces available. Fast Broadband, Check your emails, surf the net or catch up with your favorite shows on Netflix. Both property front entrances have solid concrete wheelchair ramps for disabled access. 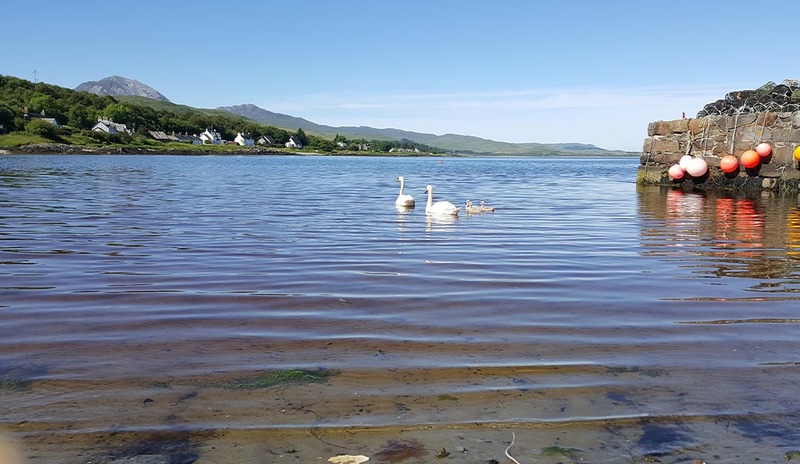 Explore the beautiful Isle of Jura, what will you discover! 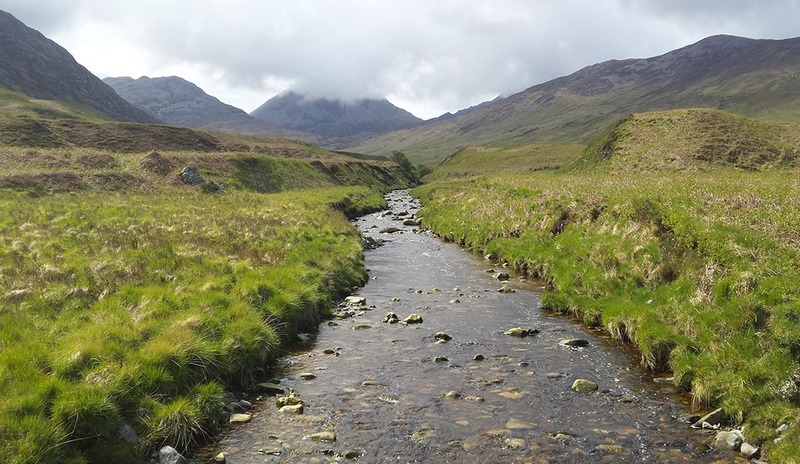 Arriving in Craighouse from Feolin, directly opposite the shop take a sharp turn left, past the Antlers tea room, approx 600m up the hill and Torr na Faire and Tulach Ard are on your right.